Meet the Vietnamese Walking Sticks! 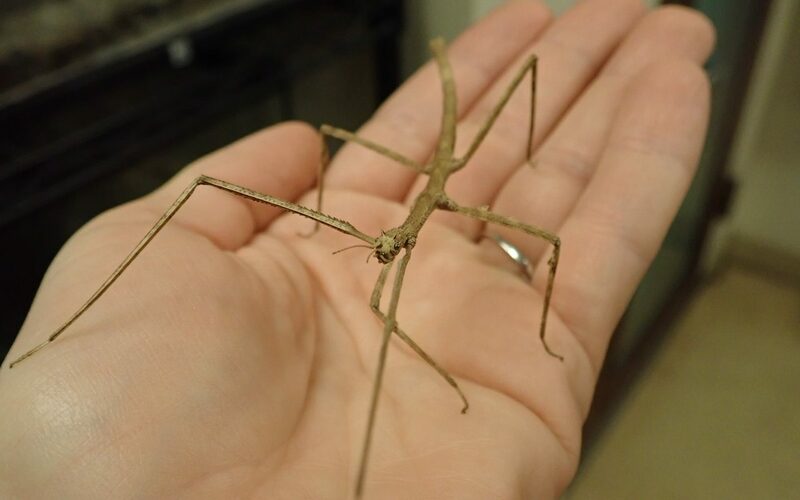 Belonging to the family Phasmatidae, these literal sticks with legs are very friendly and are often featured at our Encounter Cart. Come interact with this special herbivore and learn about how camouflage helps prevent her from becoming someone’s lunch! The Vietnamese walking stick is capable of dropping limbs when dodging predators; however, only nymphs can regenerate limbs during metamorphosis. Only males of this species have wings and can fly, but since this species reproduces by parthenogenesis (cloning), males are rarely seen within a population.